The purpose of this study is to assess the existing evidence relating to the health and wellbeing impacts of gardening and growing activities at school. It will use a systematic approach to identify, select, appraise and synthesise relevant quantitative and qualitative research evidence. What are the health and well-being impacts of school gardens? Are there different impacts for different age groups? What are the effects on other family and community members? What do school gardens mean to those who use them? Are there any factors that help or hinder the successful development, use or sustainability of school gardens? 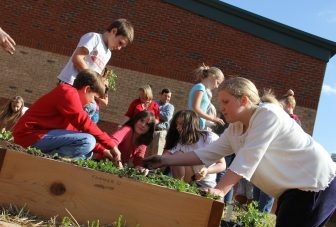 Gardening and growing have become popular activities in many schools. A review by the National Foundation for Education Research found that growing activities in schools have positive impacts on pupil nutrition and attitudes towards healthy eating (NFER, 2011). It also concluded there was modest evidence for social well-being benefits, especially for lower ability pupils or those who have become disengaged from learning. However, this review did not clearly and consistently report its methods (inclusion criteria; quality appraisal criteria) and results (CONSORT flow diagram; number of studies with health and well-being outcomes; description of included studies – design, methods, quality etc.). Several relevant studies have been published since this review was conducted in 2011 (Cotter et al, 2013; Block et al, 2012; Jaenke et al, 2012). We are also aware of a large study currently underway to assess the impact of the Royal Horticultural Society Campaign for School Gardening on children’s intakes of fruits and vegetables (Christian et al, 2012). The final report and publications will be available soon. Therefore, an up-to-date academic systematic review is needed to inform the development of these popular school-based interventions.